Recently I have downloaded beta version of Microsoft Expression Blend. 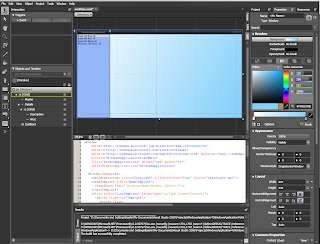 I like it; it is a good photoshop-like tool for XAML construction. But as usual there are some weaknesses and the most essential that it doesn’t have an Intellsense. But generally looks very useful. 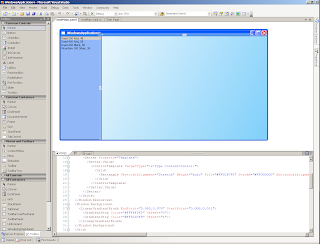 Here is shown the same project in different environments: Blend Beta and in VS2005 respectively.